Consolidate all of your pricing research on a single platform. Run data-driven pricing studies like Van Westendorp price sensitivity meter, Gabor-Granger analysis, and powerful conjoint optimisation projects - all via the same platform. Compare price ranges from different studies to launch your product with the optimal price. 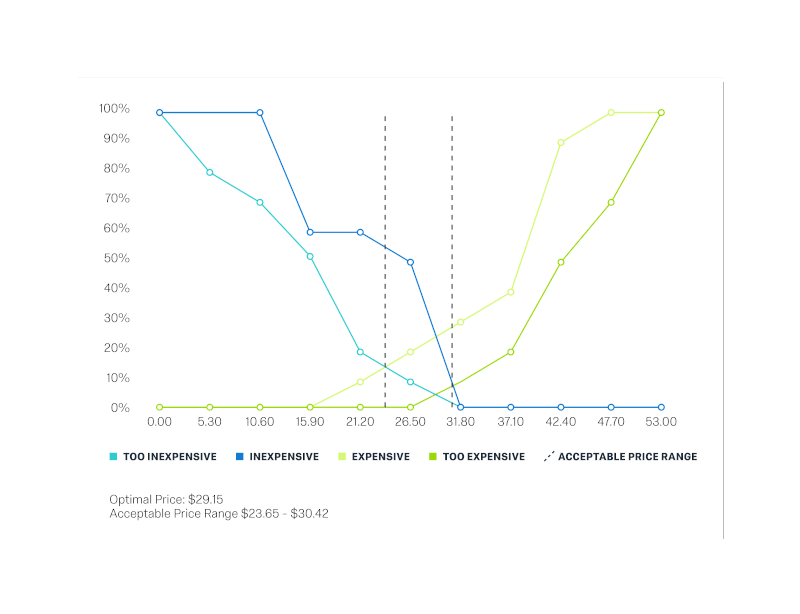 Pricing studies require rigorous survey design and complex logic and data visualisation. 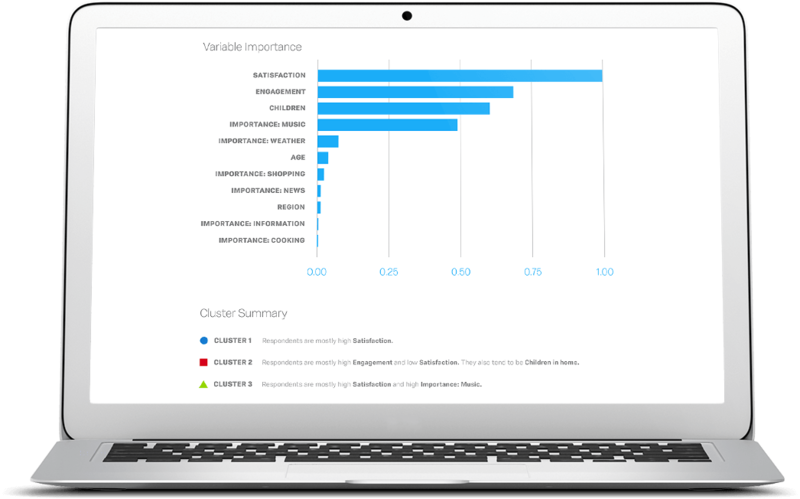 Qualtrics makes it easy to program sophisticated studies like Gabor-Granger or conjoint analysis. 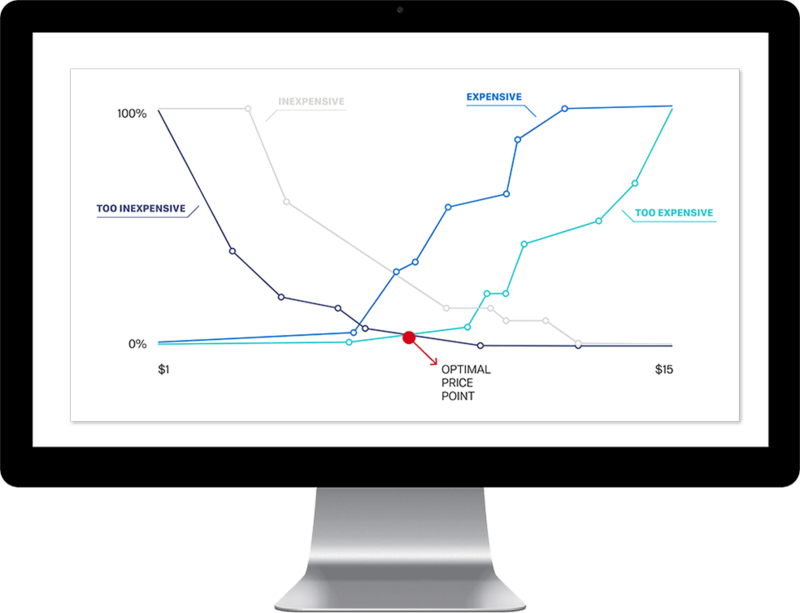 Visualise key results like demand curves or price elasticity for optimum pricing. Conjoint analysis used to require a specialised degree, but no longer. 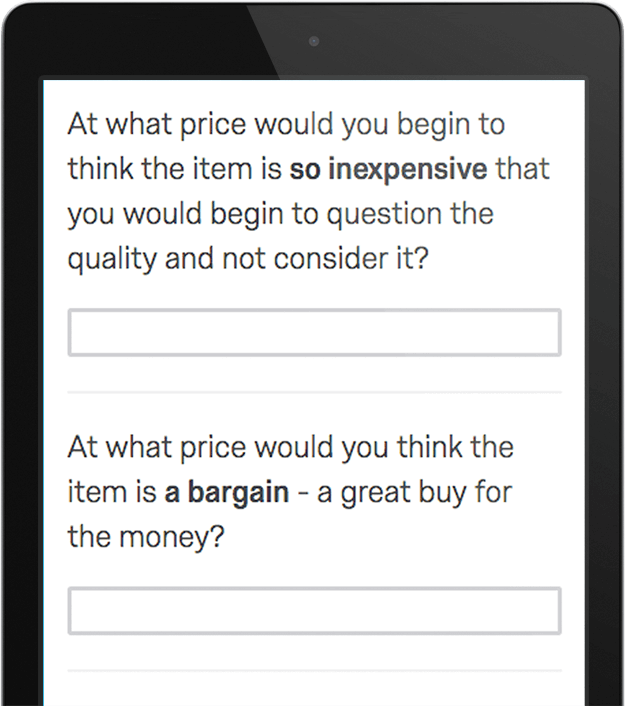 With a few clicks, Qualtrics XM Solutions helps you find the product features your respondents will love, set the optimal price point, and know which tradeoffs are your best bets. At what price would you begin to think the product is so inexpensive that you would begin to question the quality and not consider it? At what price would you think the product is getting expensive, but you might consider it? At what price would you think the product is too expensive to consider? Use your data to easily generate acceptable ranges and find the volume maximising price point. Gabor Granger studies, while simple for the respondent can be complex to program. Leverage Qualtrics’ powerful capabilities and advanced logic to measure price elasticity. Learn your market’s price tolerances and generate demand and revenue curves to find the revenue-maximising price. Traditional conjoint analysis required sophisticated statistical chops and survey expertise. Those days are in the past. 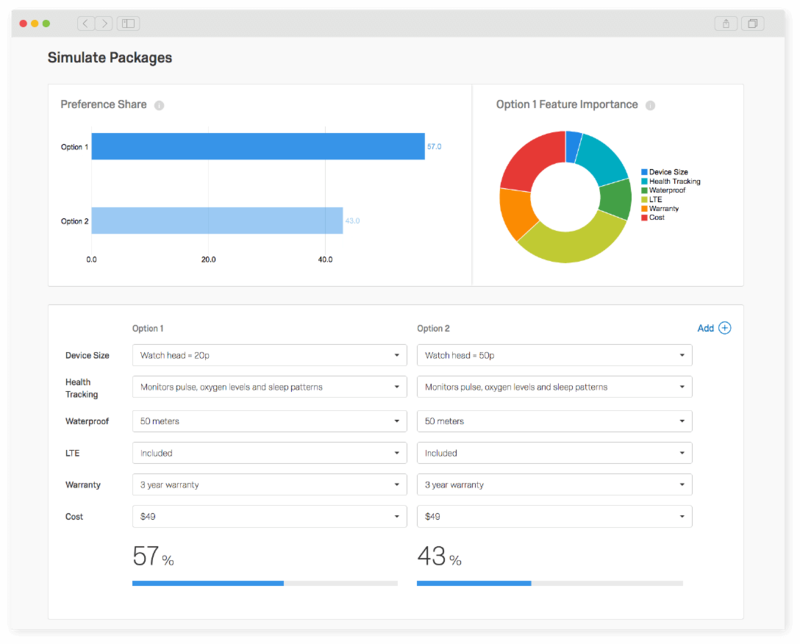 With just a few clicks, compare product features or services to understand what matters the most to your customers. Simulate real-world pricing scenarios by targeting the right audience. Target typical consumers or any desired B2B/B2C customer base. If you don’t have a panel of respondents, Qualtrics can find them for you — whether you need general population data or niche results. Pricing studies help discover what customers are willing to pay for a product or a service, and by doing so, uncover the optimal price point to maximise profit, revenue, or market share. Pricing research also determines how an organisation can increase revenue and profit margins by increasing or decreasing prices.